It was predicted that it would be held at home, and it was announced officially at the end of September that the tournament would be held in the Thunderdome on Oct. 26. This is the first time that Skyline has hosted Sub-State since 2008. “I’m excited about playing at home,” varsity coach Summer Younie said. Sub-State is held in a different place every year. Last year it was held at Sterling, where the Lady T-Birds took first to earn their trip to State Volleyball in Emporia. Younie said that day was up and down for the girls. Younie has high hopes for State success in Emporia again on Nov. 2. The team needs to be aggressive, and they are striving to bring home a banner for the gym to wrap up their season. Younie said the team needs to work on their right blocking coverage and defense. 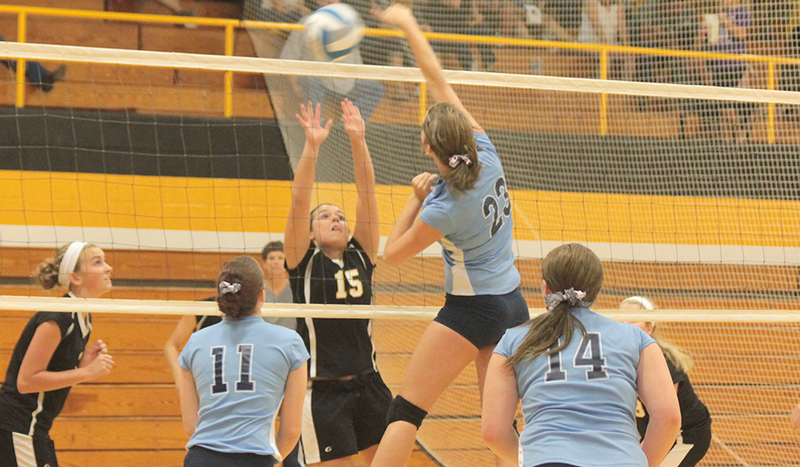 The teams the girls need to beat at Sub-State have strong outside hitters. The team accomplished their goal of winning regular season league play, and travel to Norwich tomorrow to defend their title as League Tournament Champions. It starts at 9 a.m.